Powerscourt House and Gardens is located in the scenic Wicklow Mountains of County Wicklow, Ireland. 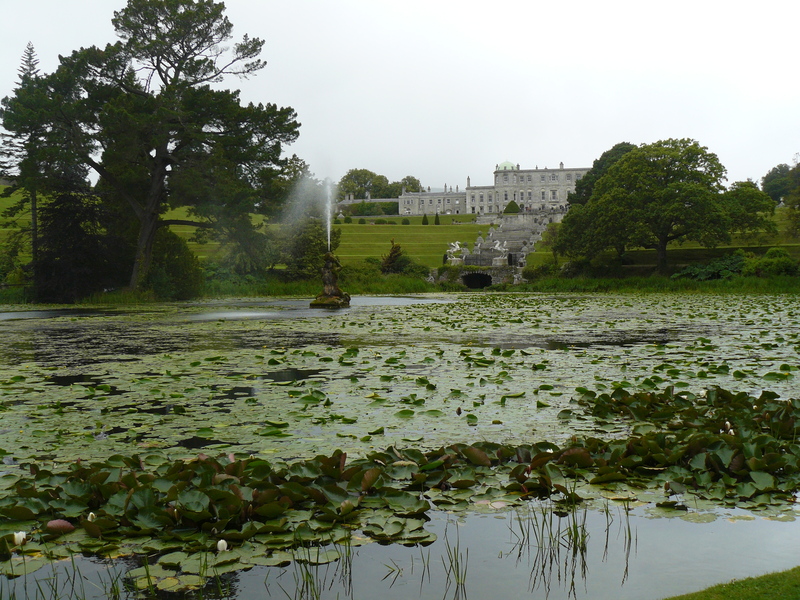 It is one of the most well-maintained country estates in Ireland. A castle was built there by 1300 and was inhabited by several historically significant Irish families. In the 1600’s, the castle was transformed into the manor house that we see today. Unfortunately in the 1970’s, a fire gutted the entire house except for the exterior stonework. A restoration project began in 1996 to repair the house. Currently there is a new roof and the main rooms of the downstairs have been restored for use as shops, a cafe and historical display. 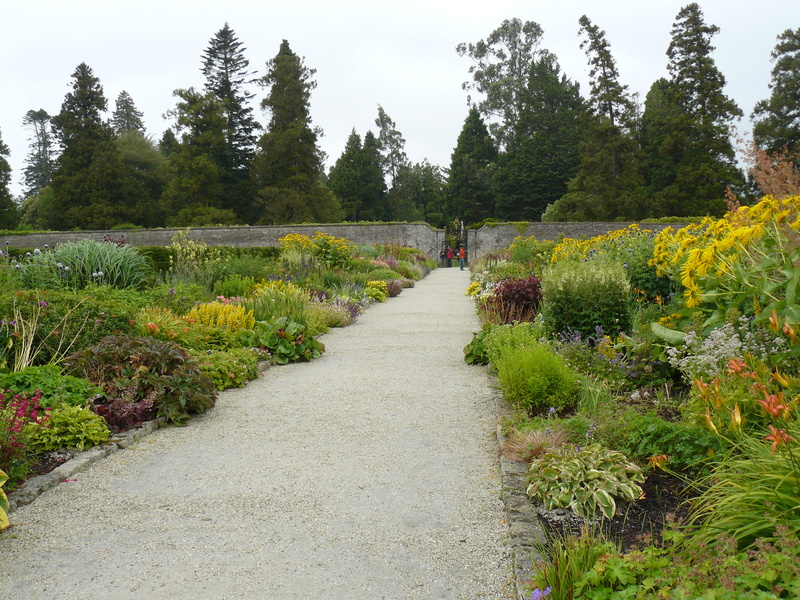 The gardens of Powerscourt have been worked upon in two main phases. The first, in the mid 1700’s, involved the gardens of the main lawn and a wooded trail around the perimeter. In the mid 1800’s work commenced again with a re-drawing of the designs to include Italian and Japanese-themed gardens. It takes about an hour to meander the exterior pathway through 200 year old tree groves, explore the circles of the Japanese gardens, climb the decorative castle tower overlooking the property, and stop to smell the roses. In typical estate gardening, the more formal gardens are closer to the house while the more wild, free flowing gardens create the outer border. 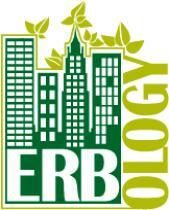 The Irish environmental conditions, similar to England with lots of rain and minimal temperature extremes, are extremely conducive to creating amazing gardens.